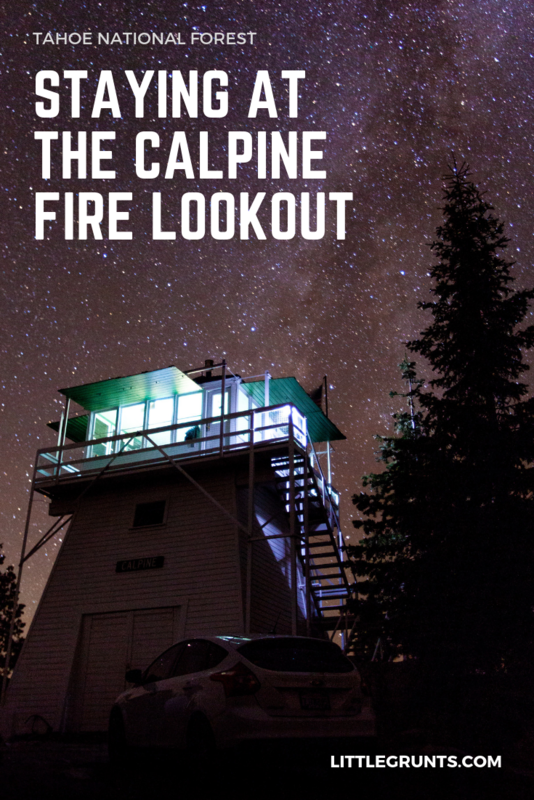 The Calpine Fire Lookout was built in 1934 in Sierra County, CA on ancestral Washoe territory. 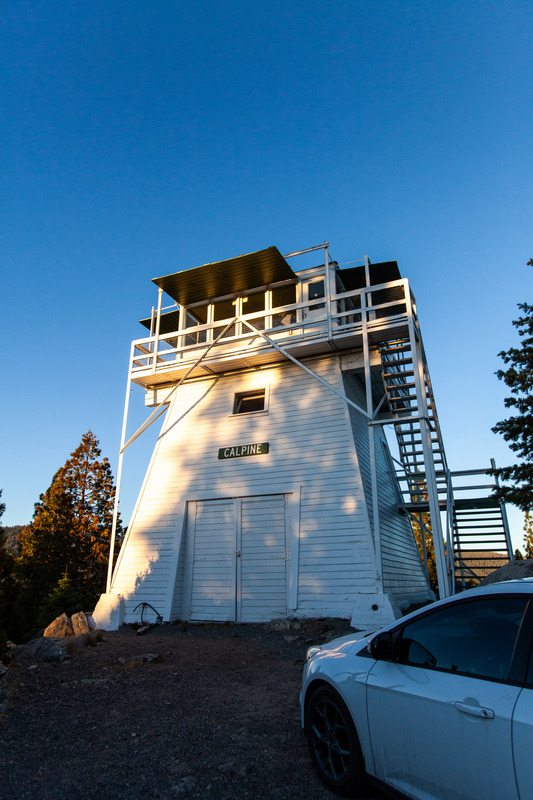 This three-story tall lookout was retired in 1975 and converted into a USFS rental property. At this time, only the observation cab is bookable. With its close proximity to Truckee and the Bay Area, this spot is very popular with every single date booked out six months in advance (as far as recreation.gov will let you go). How to Get to Calpine? Calpine is located about 40 miles from Truckee. GPS will get you there pretty easily, but cell service is spotty along 89 and Sierraville. You’ll need to stop at the Sierraville Ranger Station to get your check in packet. If you’re coming in after hours, they leave it in a dropbox for you. Make sure you fill out the top page with your contact info and leave it in the drop box. Once you get to the turnoff for Calpine, the road is unpaved and a little rocky. It is accessible to all cars though. We drove our Ford Focus up just fine. The road to Calpine is blocked by a locked gate. When there is no snow, the Sierraville Ranger Station gives you a code to the gate. 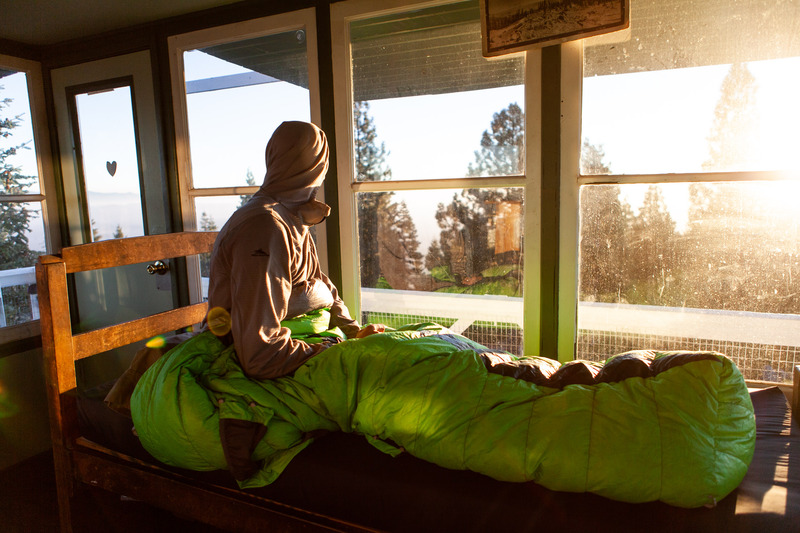 When winter is here, you’ll have to snowshoe or ski up to the fire lookout. What is Available at Calpine? Puzzles, Scrabble, Uno, playing cards. Use at your own risk. Complete sets are not guaranteed. Cleaning supplies. Before you go, you’ll need to tidy up the place. This isn’t hotel, there’s no room service. Fire ring, but check fire restrictions before you go. The Sierraville Ranger Station calls you a week prior to your trip to let you know about conditions and how to pick up your packet. Water! There’s no water here. You need to bring your own. Your pups! The Calpine Fire Lookout is dog friendly. Extra lights! The lights in the lookout aren’t terribly bright. 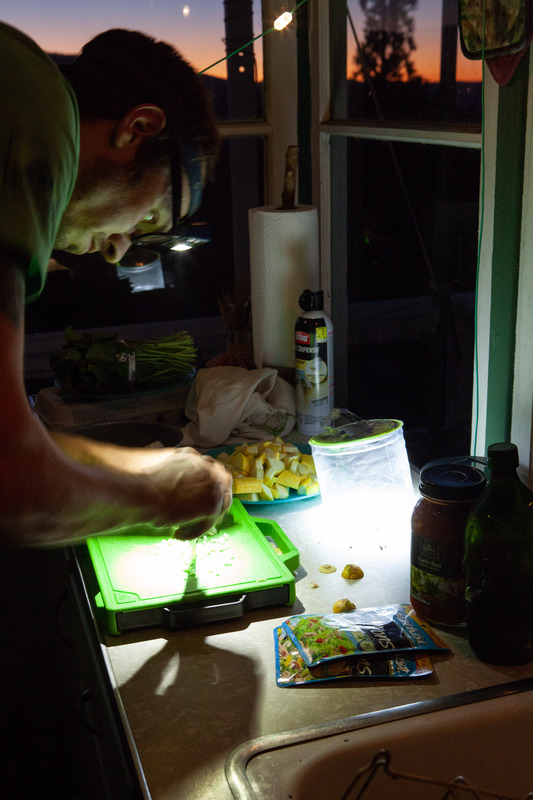 We supplemented the propane lights with the Luci Outdoor Pro light and Luci solar string lights. String lights are always a good choice, very magical. Sleeping bag and pillow! Beds are provided. Things to keep yourself warm are not. Not an early riser? 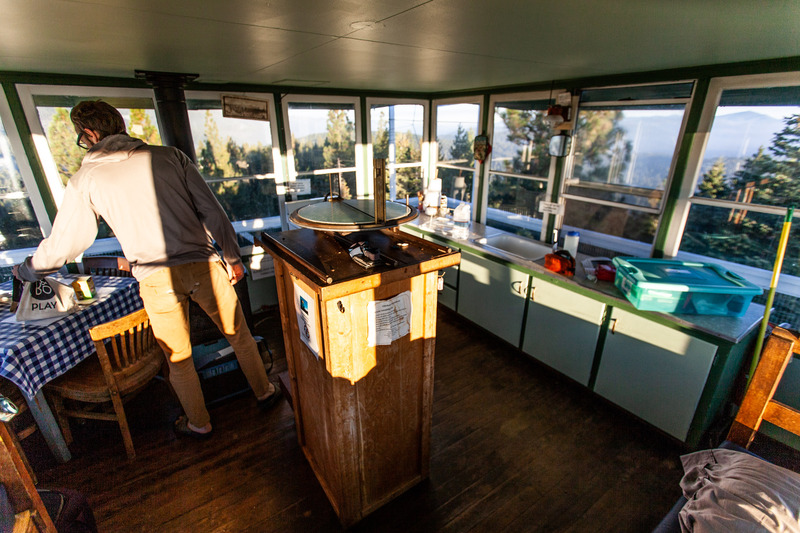 The sun gets real bright in the Calpine Fire Lookout. Bring an eye mask to keep snoozing. If you have four people, maybe an extra sleeping pad. We only saw one additional cot. 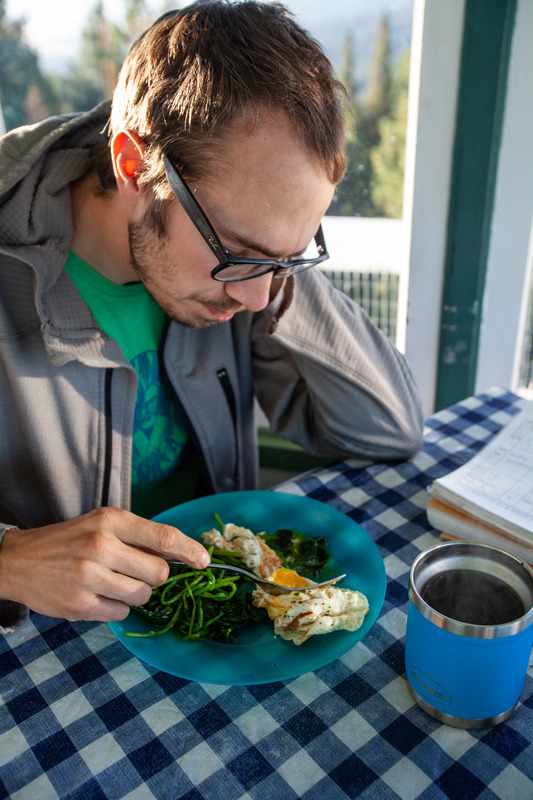 Your own cookware. 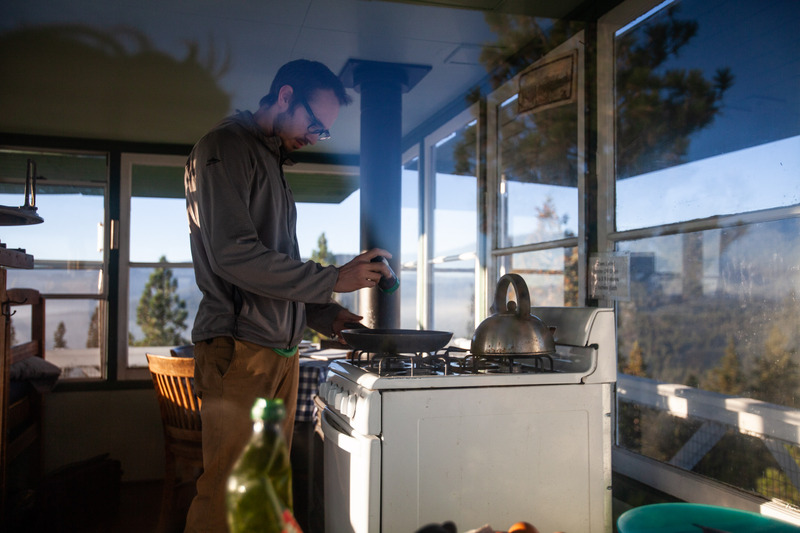 Yes, the fire lookout has cookware available, but you also have to clean it. If you bring your own, you can get away with slightly less hygienic cleaning habits. Battery packs for charging stuff. There’s no electricity here, simple enough. Your favorite board games or books or whatever to pass the time. What’s the point in paying $45 per night to not enjoy your time in the lookout? It’s really a cool place to hang out. Slow down and chill for a little bit. Head over to recreation.gov and cross your fingers for availability. This lookout is ridiculously popular and books up six months out. However, check back periodically; people do cancel. 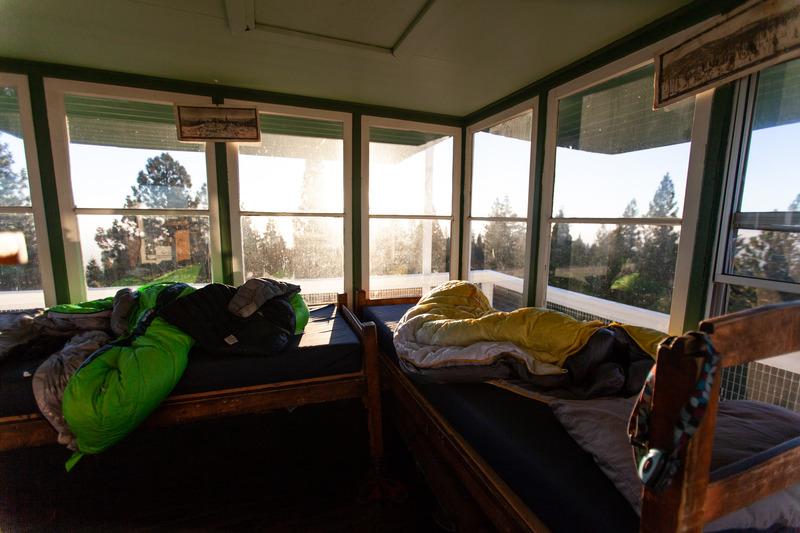 Looking for more hut-style accomodations? 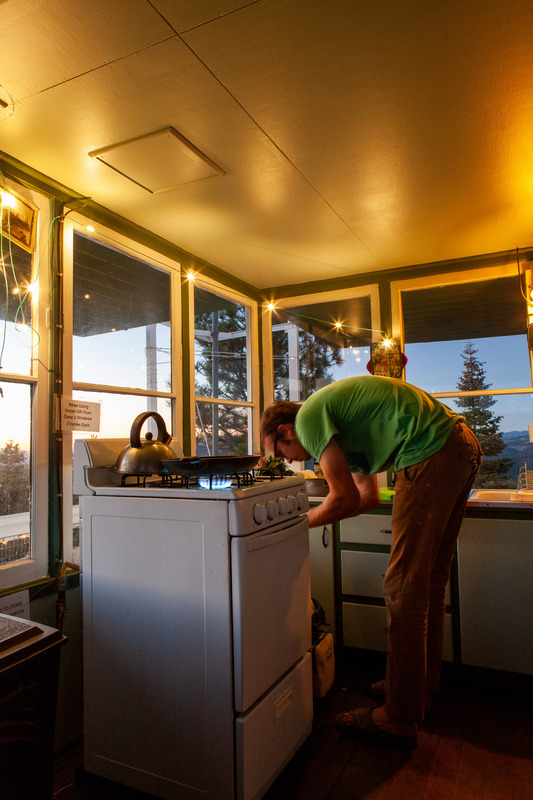 Try the Sierra Club Hikers’ Hut at Sam McDonald County Park.